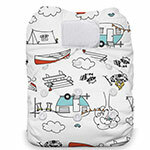 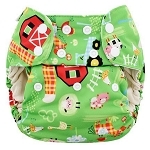 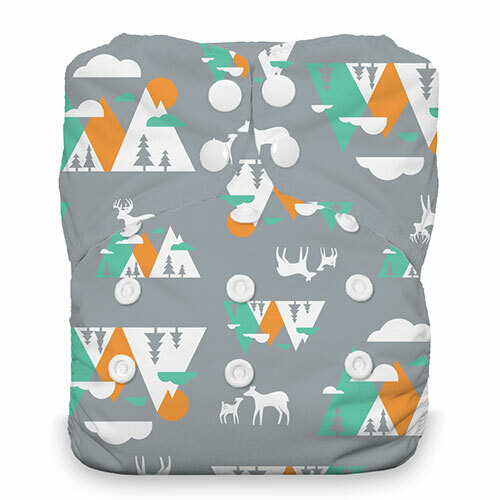 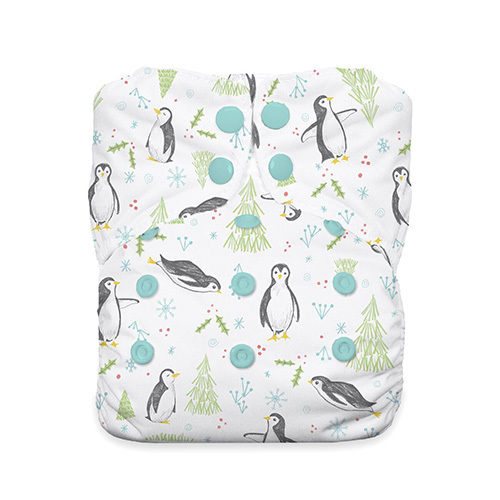 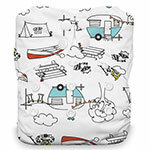 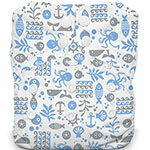 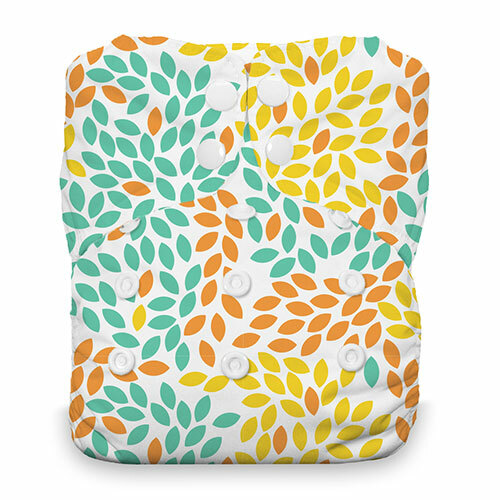 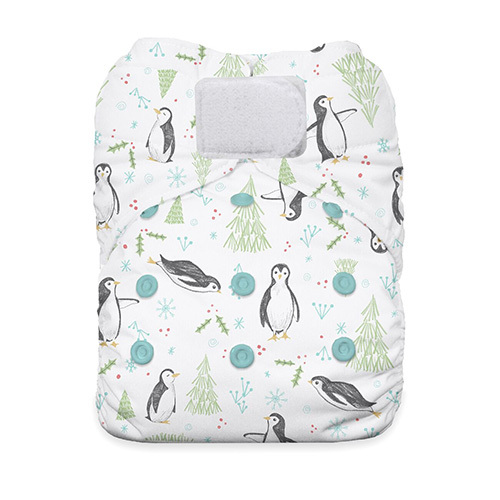 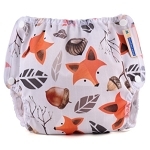 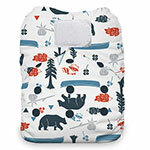 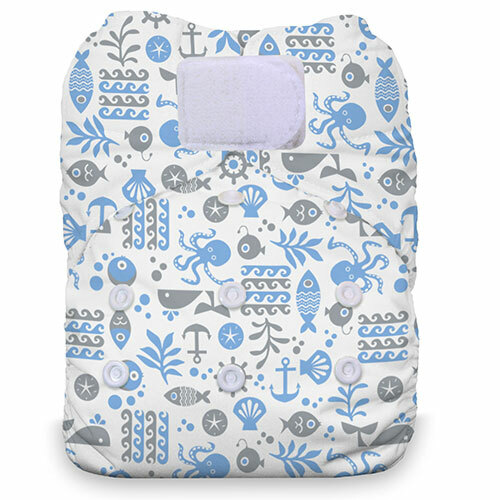 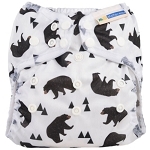 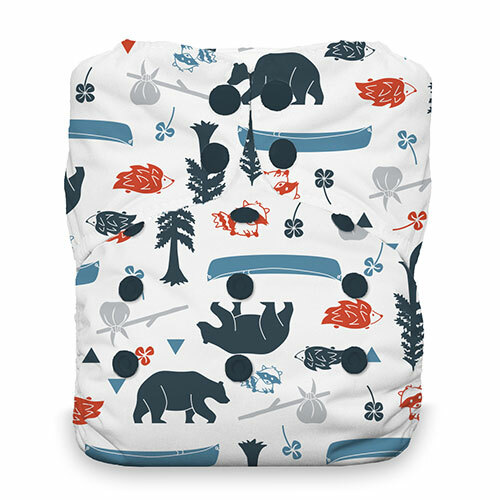 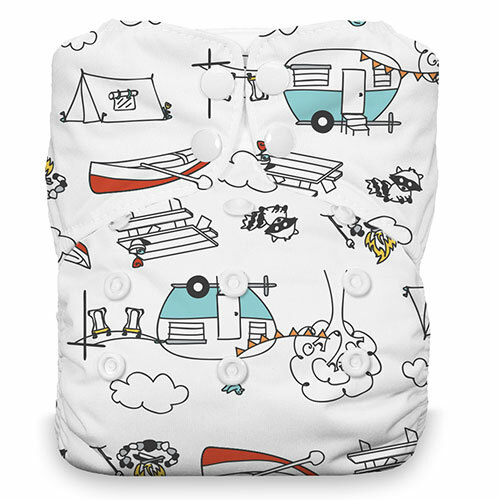 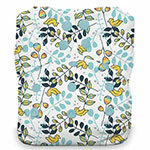 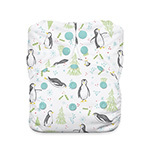 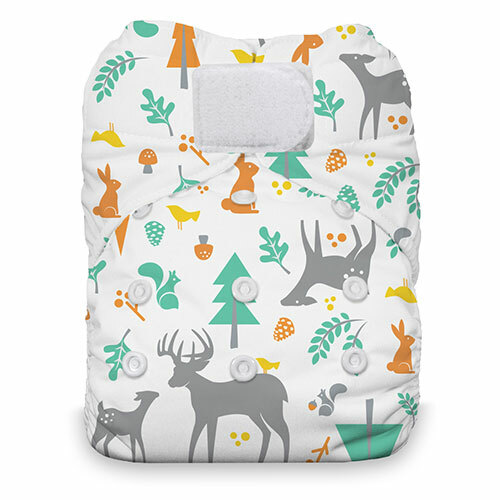 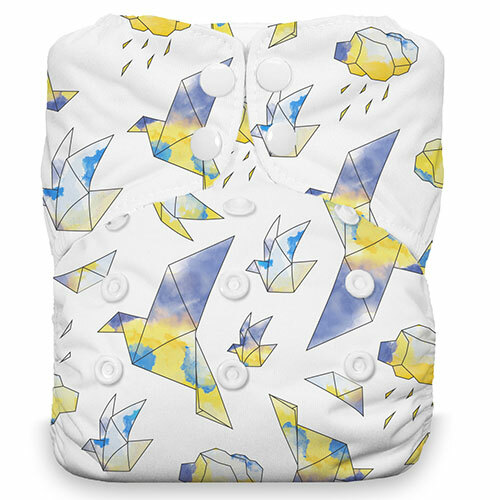 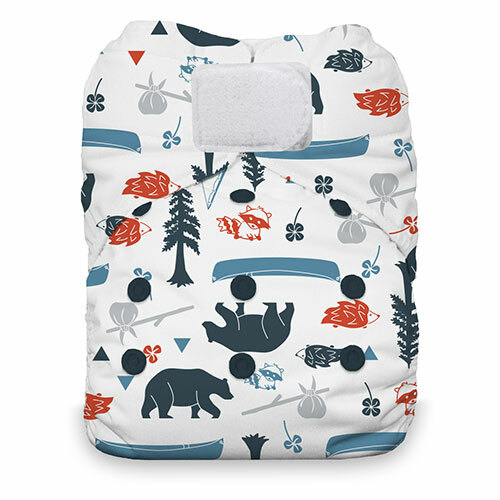 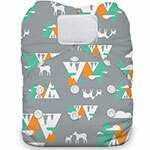 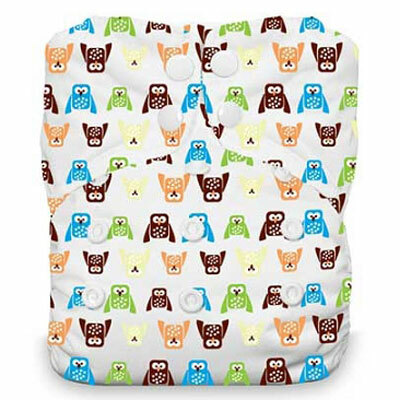 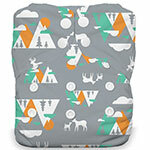 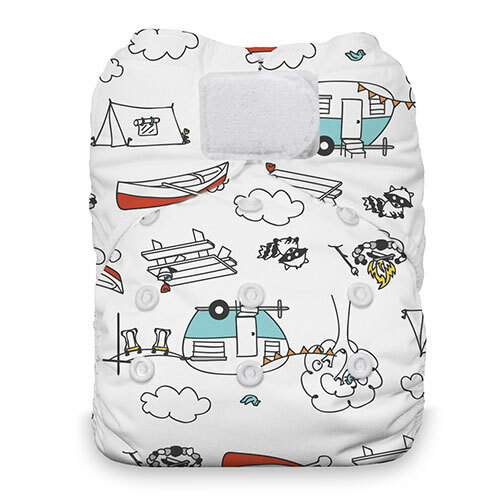 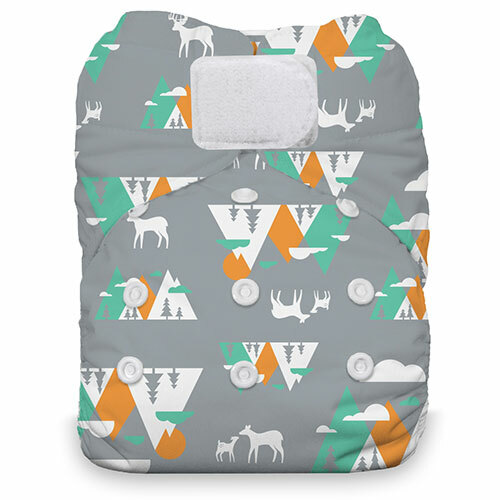 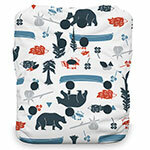 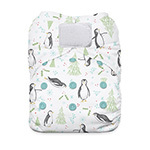 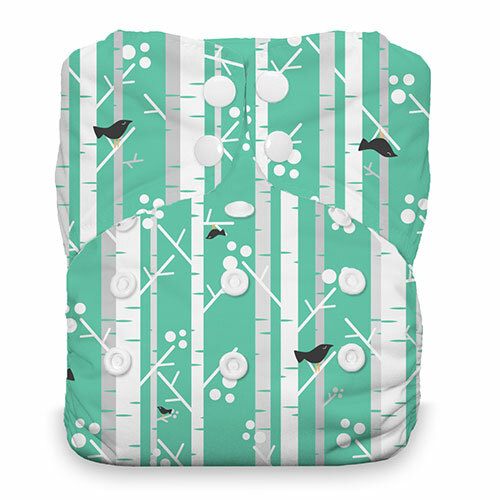 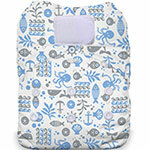 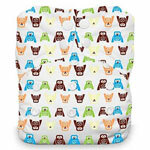 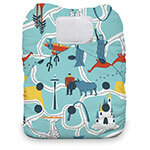 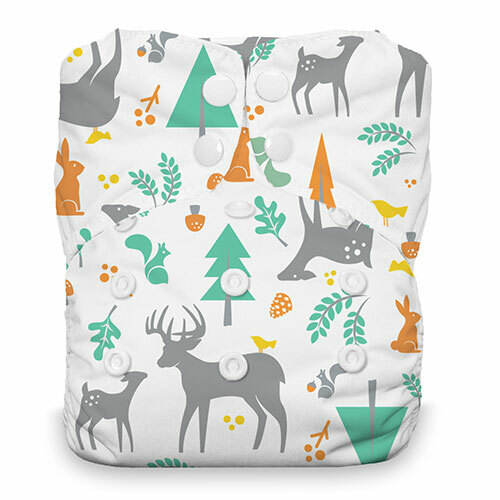 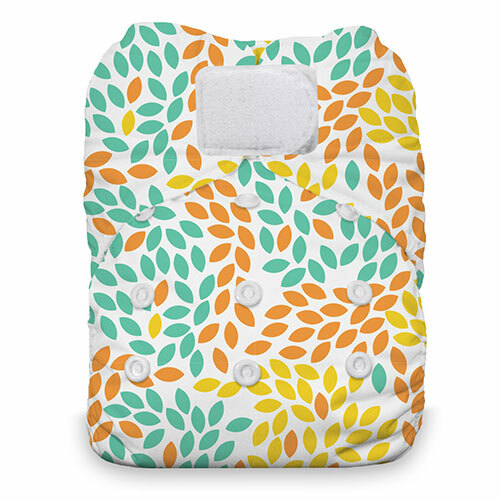 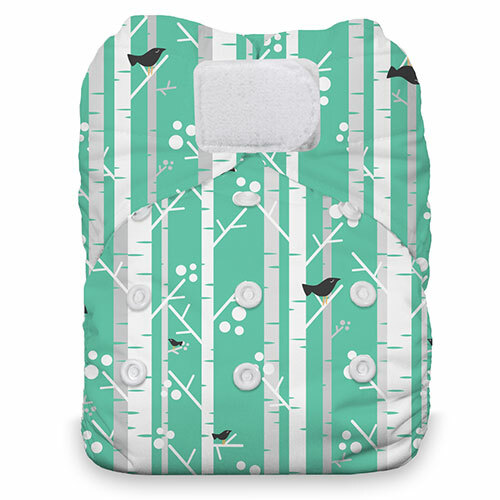 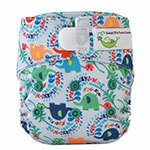 Thirsties all in one nappy is easy to use, absorbant,quick drying and fab colours and prints. 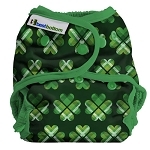 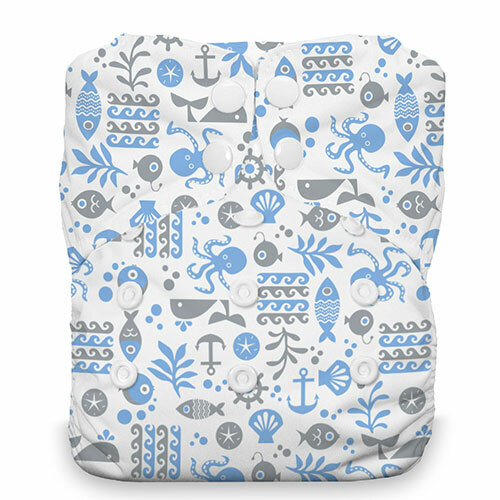 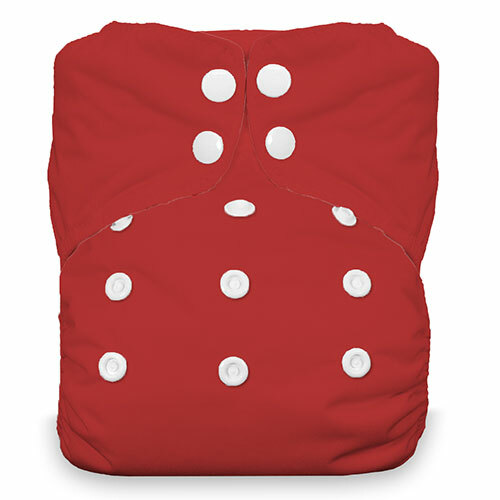 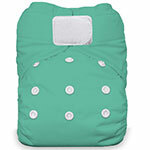 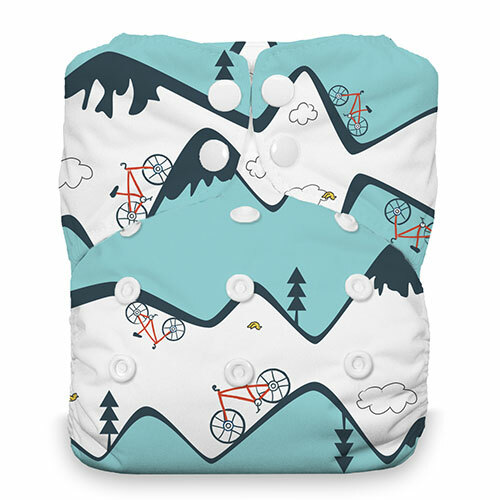 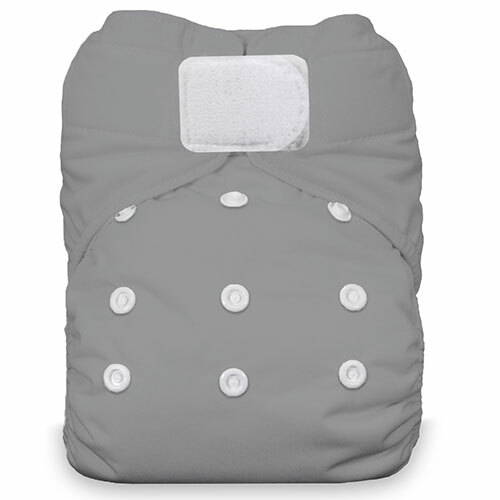 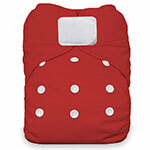 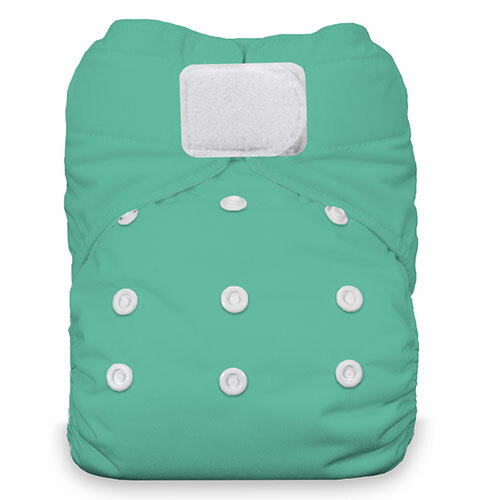 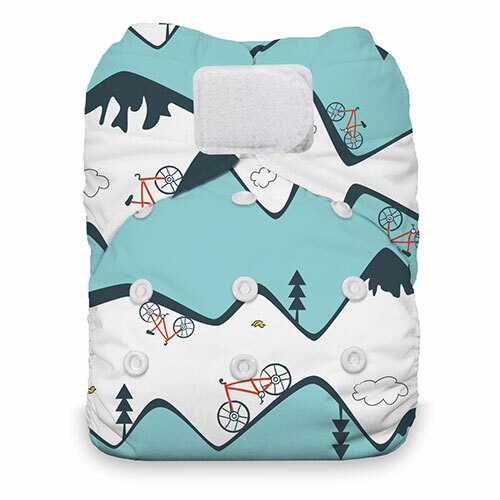 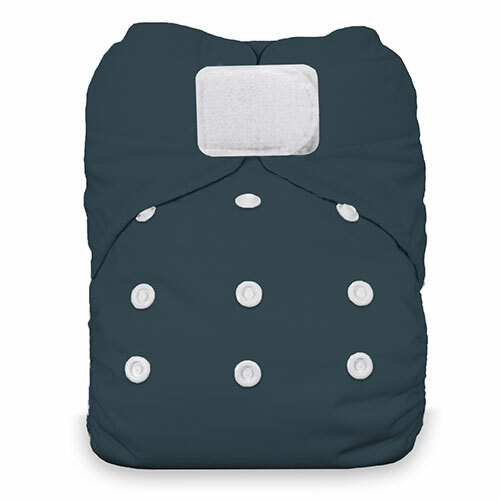 One size nappy provides a customizable fit for most babies from 8 to 40 lbs. 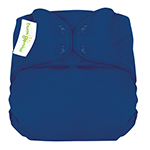 Available with hook & loop or new snap configuration with two rows of snaps. 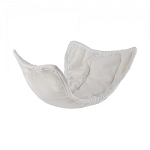 While many families prefer hook & loop closures because of the simple, secure fit they provide, snap closures do have a few advantages of their own. 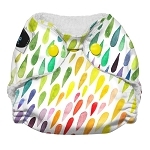 They are practically indestructible and are more unyielding than our hook & loop closures, making them more challenging to unfasten for a toddler who prefers to go naked. 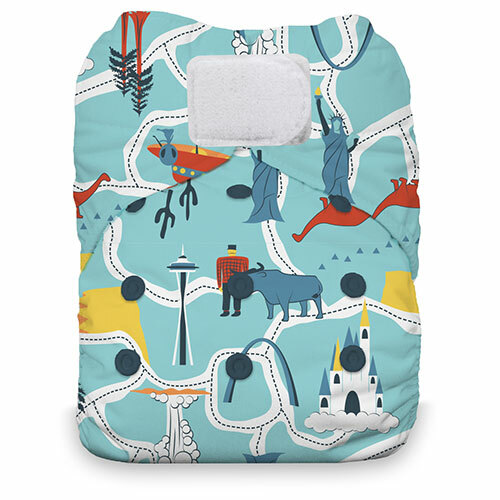 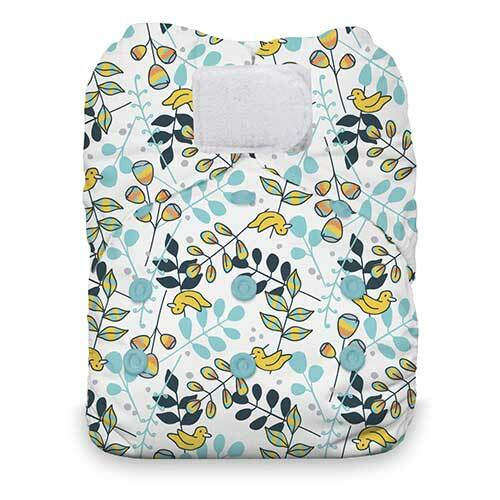 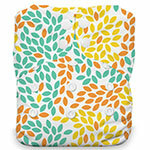 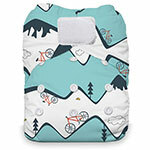 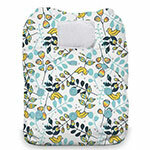 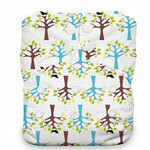 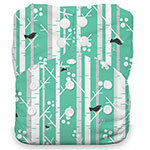 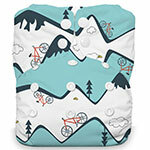 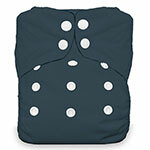 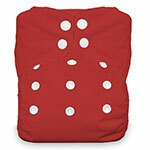 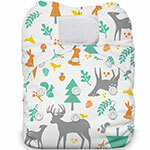 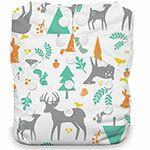 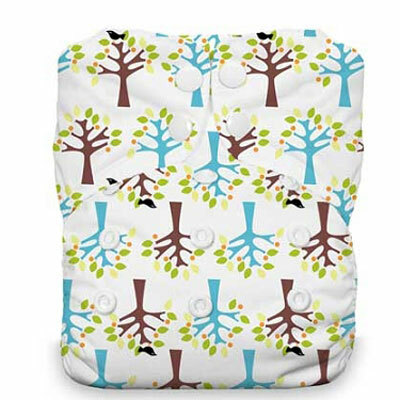 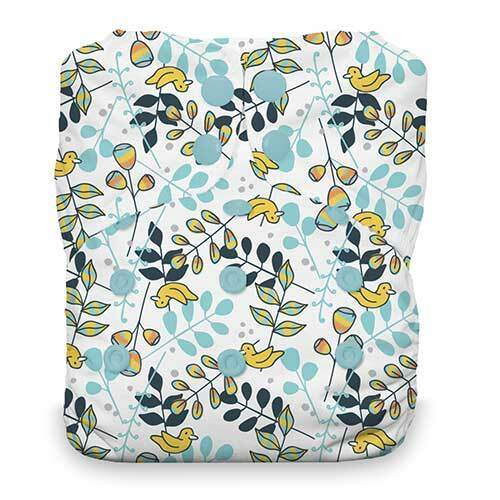 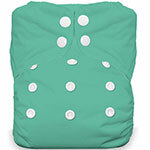 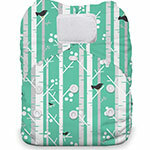 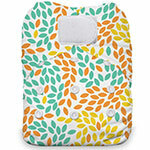 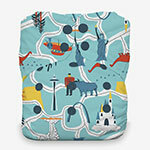 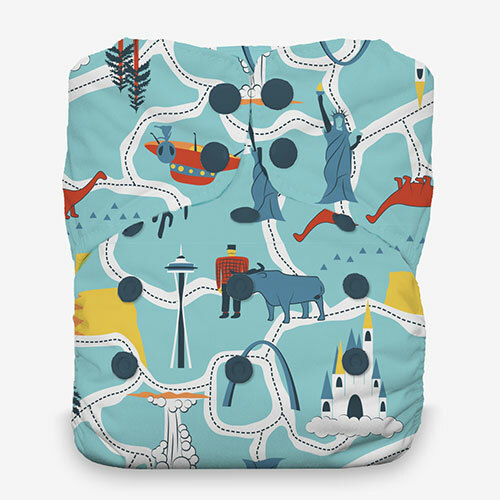 Thirsties new One Size All in One reusable nappy truly challenges the convenience and trim-fit of a disposable diaper. 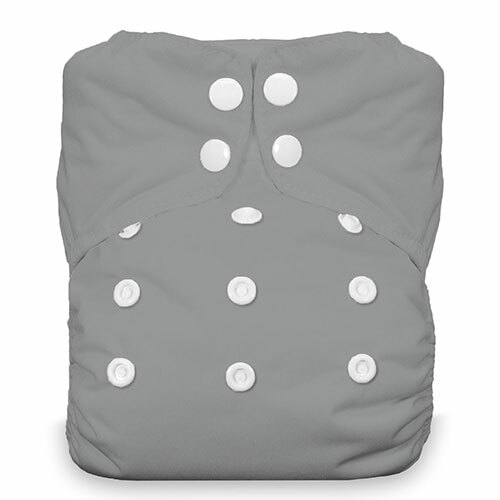 It offers absorbency, waterproof protection, and adjustability all rolled up into a stylish, comfortable and extremely effective cloth nappy. A built-in, three-layer microfiber terry soaker absorbs an amazing seven times its weight in liquid. 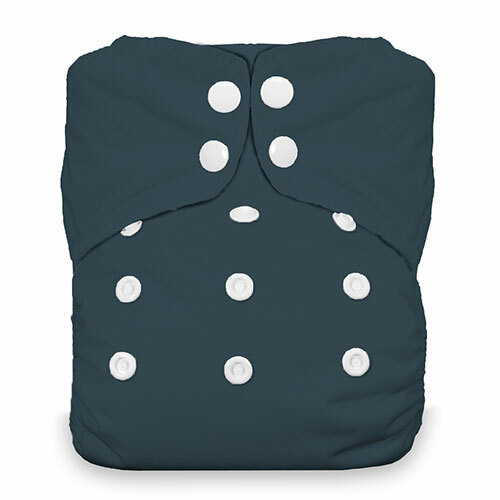 The soaker is topped with our stay-dry microfleece which keeps your baby feeling dry. 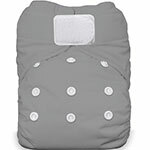 An additional layer of terry lies between the microfleece and PUL body of the diaper providing a last line of defense. 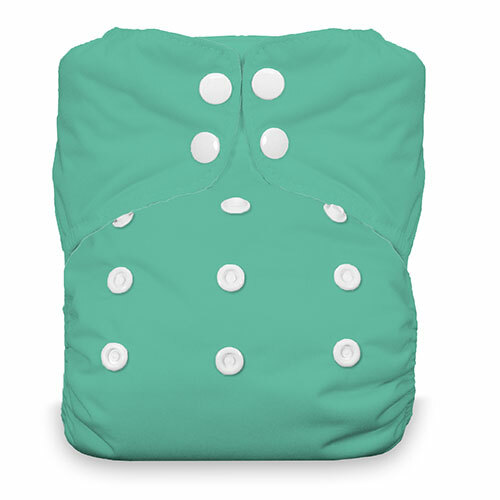 The soaker is sewn in on one side (at the top of the diaper), which makes adding extra absorbent layers a cinch and tremendously decreases drying time…it’s the fastest drying nappy thirsties have ever created!